In recent years, the Environmental Protection Agency has implemented strategies under the 1987 Montreal Protocol on Substances that Deplete the Ozone Layer, known most commonly as the Montreal Protocol. The goal behind this vital international agreement is to reduce the production and use of substances that are known to affect the ozone layer. R-22, a common refrigerant used in residential cooling systems, is included as one of the substances that is to be phased out by 2020. And Services provides updated information to our customers to ensure that the phase out does not adversely affect your budget and ability to keep your family comfortable during the Florida summer. The atmosphere above our planet is divided into several layers, one of which is the stratosphere that is approximately nine to 18 miles above the Earth’s surface. This layer is important because it absorbs ultraviolet (UV) light from the sun, specifically UVB rays that are linked to certain human diseases, such as cataracts and skin cancer, as well as damage to marine life and crops. Ozone molecules are destroyed at an alarming rate by bromine and chlorine atoms. Scientific research has shown that a single chlorine atom destroys more than 100,000 ozone atoms. These findings demonstrate that chlorine and bromine have the capacity to destroy the ozone layer much faster than the ozone is created through natural processes. Research has shown that ODS that is released from the surface of the planet takes two to five years to reach the stratosphere, so any of these substances that are released today will affect the ozone years from now. Although human activity is not the only source of ODS, other sources, such as volcanic eruptions, only have short-term effects because the gases are released over a limited window of time. Additionally, the bromide and chlorine from these sources most likely will not reach the stratosphere. Ozone depletion has been noted over Antarctica, North America, most of Africa, South America, Asia, Europe and Australia. The inclusion of Antarctica demonstrates how ozone depletion can occur in locations with only extremely minor human presence. 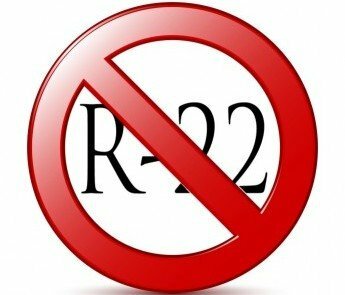 R-22 is scheduled to be phased out completely in just four short years. If your air conditioning system relies on R-22, the supply will be very limited and expensive. Our technicians are certified to perform maintenance on systems that use R-22, so you feel confident that any maintenance and repairs are performed to the highest EPA standards. 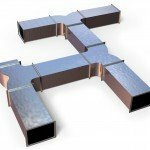 At some point, though, you may need to consider replacing your cooling system with one that uses a modern R-22 alternative. We understand that the investment will impact your budget, so we can provide the expert guidance you need to plan ahead. Our technicians will recommend a timeline for replacing your unit as well as new units that meet the required load capacity for your home. If you have any questions, contact us. A technician will be happy to speak with you and answer your questions.